Road Runner Girl: Vitacost Be Fit Box Review! I was excited when Andrew from Vitacost contacted me about reviewing their new Be Fit Boxes that are being released February 1st! 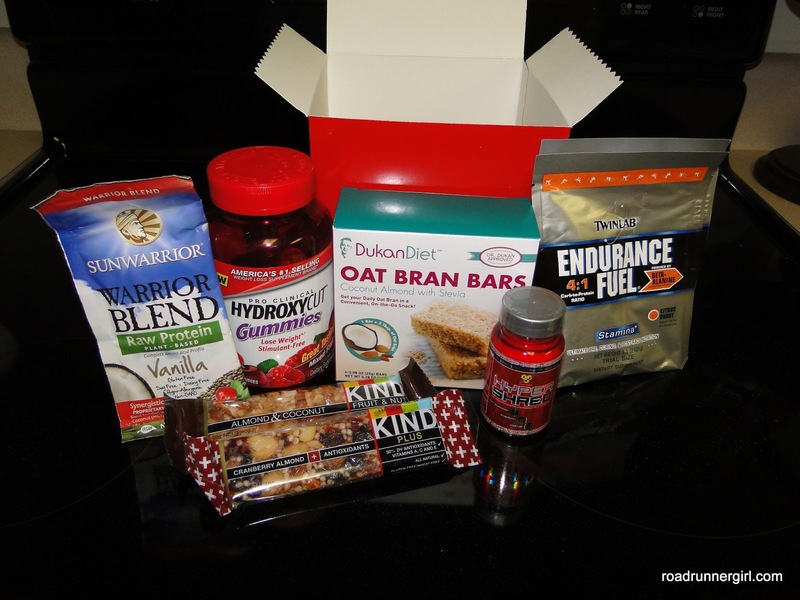 I am all about trying new products that help me with my running! So what is a Be Box? It is a surprise selection of personal care and wellness products from the best natural and organic brands. Each box has products that are valued at $39.99 and you also receive a surprise coupon to use on your next order! The Be Fit Box is the sports and fitness box and this is the one Andrew sent to me. 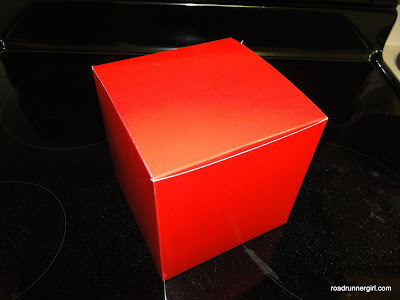 It arrived in a very pretty red box! Who doesn't like things in shiny red boxes? And when I opened it up it was full of more goodies than I expected! Hydroxycut Gummies. These are weight loss gummies. I can't wait to try them! Hyper Shred Thermodynamic Metabolic Activator. These are capsules to help you have more energy, focus, burn fat, and manage weight. DukanDiet Oat Bran Bars. These are coconut almond with stevia and my hubby has already claimed them as his own! Twinlab Endurance Fuel. There were two packs of these in the box. It's supposed to help with stamina and is the ultimate pre, during, and post-race nutrition. Sun Warrior Warrior Blend Raw Protein Vanilla. I can't wait to make a protein smoothie with this after a run! Kind Bars. There were two of these in the box...Cranberry Almond and Almond & Coconut. Yes these were the first things to go! So good! I think this box would be perfect for those that like to try new products but don't want to buy the full product in case they don't like it. 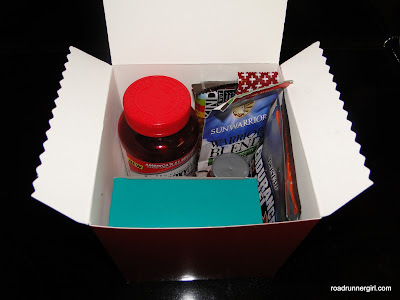 I love getting samples of new products and that is basically what these boxes are all about! If you are interested, head over to Vitacost on February 1st to find out how you can get your very own Be Fit Box! QOTD: Have you ever tried any of these products? Which one?